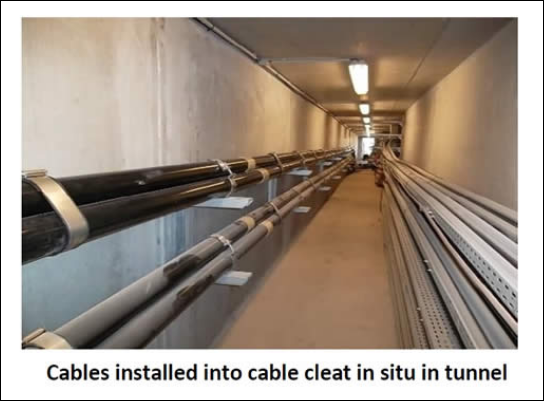 France’s electricity transmission system operator, RTE, required Emperor cleats to secure cables in a technical gallery and risers connecting substations in the La Bocca area of Cannes. As the leading name for power supply in France, RTE was looking for a tried, tested & trusted solution to secure their installation. 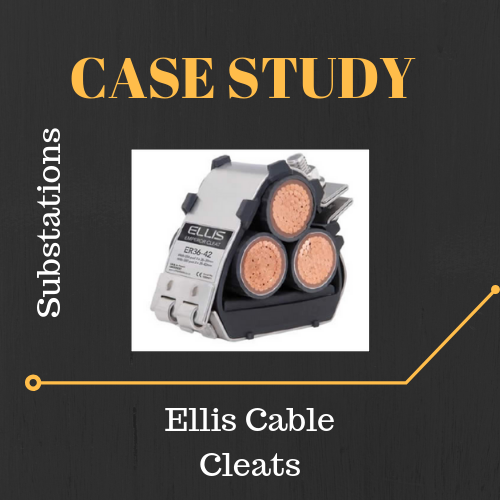 Ellis provided the Emperor Cable cleat and the Flexi-strap intermediate strap. Both products are manufactured from 316L stainless steel, with a polymeric LSF liner. The Emperor range offers the ultimate protection against the harshest conditions. 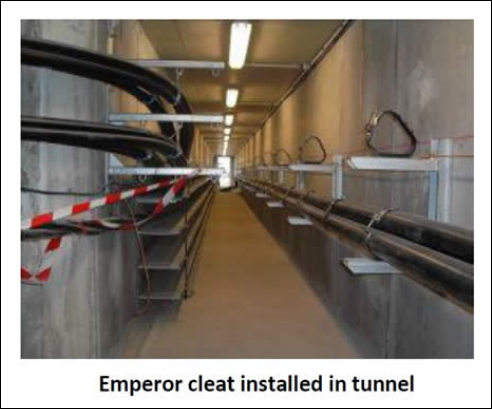 Flexi-strap, used in conjunction with Emperor, allows for cost efficiency in a trefoil installation. North American Sales Company, Inc.